Prior to June 21, 1788 the government for the United States of America consisted of a Congress with representatives chosen by the State Legislatures of the 13 sovereign States. That’s all there was under the government established by the Articles of Confederation, a Congress and nothing else. There was no Executive Branch with a President and all the various departments, and there was no federal judiciary to interpret the Constitution six ways from Sunday. 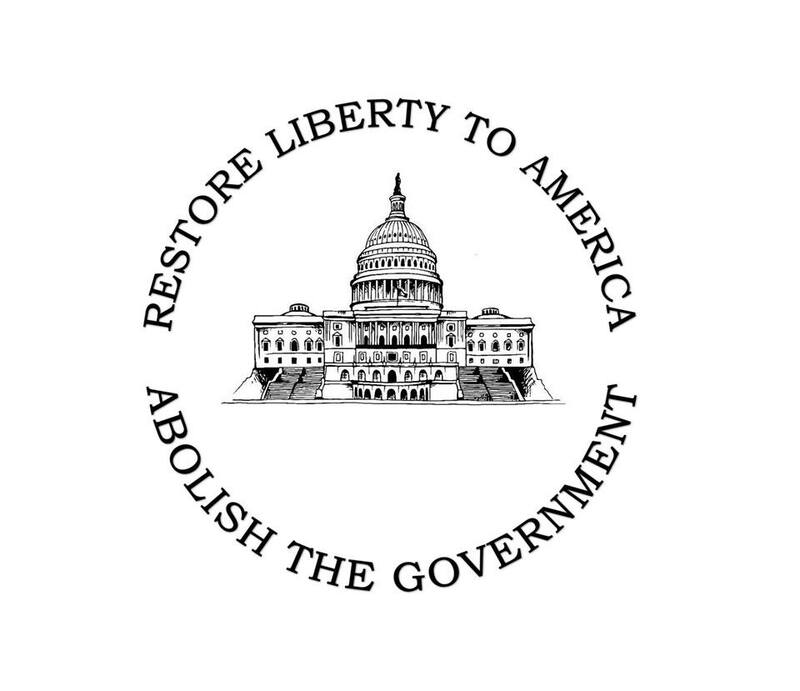 One would think that when the people of a country are engaged in a discussion of whether or not to abolish their existing form of government and replace it with another that they would examine the proposed form of government carefully to ensure that they were not adopting a system that would make things worse than they currently were. Prior to the ratification of the Constitution various well known and respected men spoke out in opposition to the adoption of the plan for a new system of government for America. One such man was Melancton Smith who wrote a series of 18 essays under the pseudonym of Letters from a Federal Farmer to the Republican. Maybe I’m just a bit on the slow side, but it sure sounds to me like the country was in no immediate danger, and therefore the States had plenty of time to perform a complete and thorough examination of the proposed system of government before deciding whether or not to adopt it. Regardless of what was said, both in support of and opposition to it the Constitution was ratified and the system of government outlined therein was put into effect. They say hindsight is always 20/20, and now looking back on things, I would say that the ratification of the Constitution was the absolute biggest mistake this country ever made. Don’t get me wrong, I’m not saying that America may not have needed a better form of government than the one produced by the Articles of Confederation; one with a bit more power to perform the tasks a government should perform. What I am saying is that America should not have chosen to adopt the form of government outlined by the Constitution. When you talk politics with most people today you typically encounter people who consider themselves to be either Republicans or Democrats; conservatives or liberals; or progressives depending upon who you are talking to. These people either support or oppose government based upon how well it adheres to the ideology of their respective political parties. Yet neither side of the political spectrum seems willing to ask themselves a fundamental question: What purpose is government supposed to serve? The reason they do not ask that question is because if they found the answer they would be unable to support their government regardless of which party was in control of it; not without proving themselves to be hypocrites anyway. The Constitution may have framed a government, but the Declaration of Independence framed the principles upon which any government has a right to exist and the purposes it should serve. I have often commented on how short people’s memory spans are, but that really isn’t something new. The Declaration of Independence was written and adopted in a time when the people of British America were suffering under the yoke tyranny imposed upon them by King George III and Parliament. Yet in less than a decade and a half, in a time of relative peace and comfort, they forgot the one thing that led them to risk their lives to obtain – liberty. It should therefore come as no surprise that people two centuries after the adoption of the Constitution wouldn’t give a second’s thought to obtaining or defending liberty. Yet, just as in 1787 and 1788 there were those who cried LIBERTY to all who would hear them, there are those of us today who cry about the loss of liberty due to the laws being enacted by your government. And just as the voices of those who cried for LIBERTY in 1787 fell upon deaf ears, so do our cries today. People today look to government to do all manner of things for them; from creating jobs to keeping them safe, healthy and secure. But, is that why governments exist, to keep the people employed, safe and secure? I suppose it could be the reason – if you were hiring a nanny and not a system of government designed to secure and enlarge your liberty. As an example, I’ve had people tell me that we are free because we can hop in our car and drive from one end of the country to the other. You know what that tells me; that tells me that people don’t know what it means to be truly free. Being free means that there are no restrictions, no limits, no fees, no permits required, and no conditions placed upon a person’s ability to do something. So let’s just take a look at whether or not you’re free just because you can hop in your car and drive from, let’s say, California to Florida. When you buy that car there are taxes attached to your purchase as well as registration fees. Those fees are not a one-time deal; they slap you with them every single year for as long as you own that vehicle. The gas you put into that car so that it can take you from Point A to Point B is also taxed. Then on top of all that you need an operators permit, called a drivers license, to be permitted to operate that vehicle on public roads. So tell me again how free you actually are. Government should be instituted to protect and defend the equal rights of all its members. To understand the significance of that statement you have to also understand that our system of government was not created merely to serve the fickle and impulsive needs of the people; it was established to serve the States in their independent and sovereign capacities as well. Therefore, a just government should strive to secure liberty and secure the equal rights of both the citizens and the States. Liberty is more than just the ability to live your life without anyone else telling you what you can and cannot do; it is also the ability to enjoy the fruits of your labors. [your income], without them being confiscated and spent upon things the government was never supposed to do; or to benefit one class of society at the expense of another. Whenever government becomes a tool by which one segment of society can impose its will; subjugate, oppress, and tax another segment for their own benefit, that form of government becomes unfit to exist; for it is abandoning the fundamental purpose for which it was instituted. My freedom of speech, my right to keep and bear arms, my right to worship my God as I see fit, my right to be free from unwarranted intrusions upon my privacy are not based upon whether or not the exercise of those rights makes you feel safer, more secure; they are unalienable and not subject to the whim and caprice of an ignorant populace; or the desire of a tyrannical government to subjugate and oppress me. Yet people wonder why I don’t vote, why I’m so cynical. I have yet to see any of the laws which violate my fundamental rights, along with the police power of enforcing them, abolished or repealed no matter whether government is run by Republicans or Democrats. I have yet to see my government stop taking my tax dollars and spending them to fund or subsidize the lives of others. I have yet to see my government refrain from involving itself in the internal affairs of other sovereign nations just so that American business interests can gain a foothold upon their soil and exploit their natural resources, or because it is based upon some resolution passed by the United Nations; an unelected body which cares nothing for my rights and liberty. In short, I haven’t seen this government do a damned thing it was supposed to do; yet I’ve seen it do plenty of things it was never supposed to be doing. And yet people still ask me why I don’t vote for more of the same?